Chinese trucks BEIFANG BENCHI (Beifang Benchi) are made on the basis of the achievements of the German automobile company Mercedes (Mercedes), that is, modeled on the technology of production of imported trucks, but only with its own Chinese feature. BEIFANG BENCHI trucks, as a rule, are on-board trucks intended for various kinds of cargo transportation, and in the model range there are also truck tractors, both main and off-road vehicles. 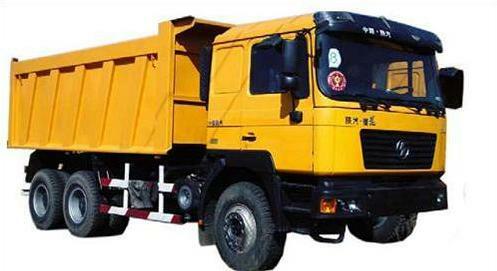 The total weight of BEIFANG BENCHI trucks can vary between 19-32 tons, and this is with a load capacity of 10-20 tons. And what about tractors specializing in towing road trains, then the full weight of the truck can be 45-50 tons. Thus, the Chinese truck tractor BEIFANG BENCHI ND4250W362JJ with the wheel formula 6x4, the total weight of which can be up to 25 tons, is especially popular among the most demanding buyers. The six-cylinder diesel engine of the BEIFANG BENCHI truck with turbo charging allows it to develop power up to 360 hp. According to the European requirements and norms of EVRO 2, the engine corresponds in all its parameters. The truck has a built-in power supply system for the fuel pump of Bosch. As for the gearbox, the tractor BEIFANG BENCHI ND4250W362JJ is a mechanical, nine-speed. The all-metal two-door cab of a Chinese truck is designed to provide full access to parts and mechanisms for maintenance and possible repairs. The specialist will be able to tilt the cabin forward at any time and carry out all the procedures for repairing the truck. It is important to note that such a Chinese truck tractor, loaded in full, and, in total, the weight of which will be about 33 tons, can develop a speed of 90 km / h.
BEIFANG BENCHI produces only high-quality trucks that attract attention with their technical parameters and excellent price-quality ratio.